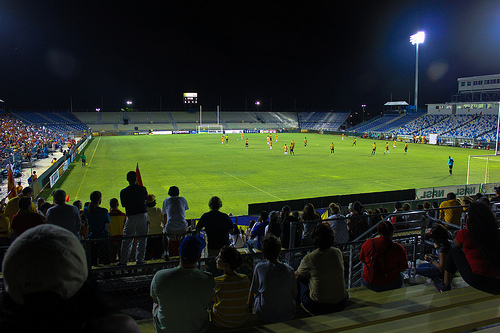 Lockhart Stadium is one of the most historic soccer venues in the United States. As home to the Fort Lauderdale Strikers of the NASL, many world stars such as Nene Cubillias, Gerd Mueller and George Best called Lockhart home and others including Pele and Johann Cruyuff made visits to the pitch. In 1998, Ken Horrowitz the investor/operator of the Miami Fusion spent $5 million of his own money to renovate Lockhart and make it one of the best soccer stadiums in America once again. Since 1998, several international friendlies and US National team training sessions have taken place at the stadium and just last week an international friendly drew close to 20,000 fans to the stadium. Broward County has foolishly decided to tear down Lockhart Stadium and replace it with Baseball practice fields for the out of town Baltimore Orioles who hold spring training in Fort Lauderdale. The mere fact that Fort Lauderdale which has its own major league baseball team in the area, the Florida Marlins is attempting to keep the Orioles in town, a team that spends 6 weeks a year in Broward and does not have a minor league affiliate club here is irresponsible and shortsighted. 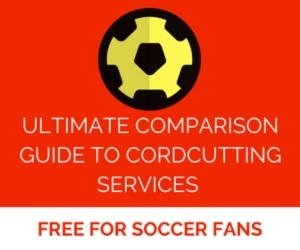 Soccer is the fastest growing sport in the US, both at the youth and professional level and the crowds for friendlies likely exceed the crowd for the entire six weeks of spring training baseball. Moreover, Professional Soccer is destined to return to Lockhart soon either in the form of a USL club or perhaps a return to the MLS. When municipal and county governments throughout the nation are spending public money to build soccer stadiums, the commissioners in Broward County are ready to tear down an existing stadium that they did not have to play for in order to build practice fields for spring training for an out of town team in an existing MLB market? Something isn’t kosher in Copenhagen as we like to say. 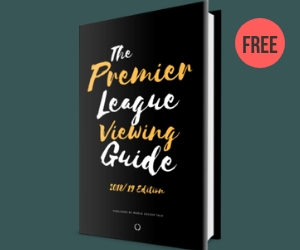 Last week’s edition of the EPL Talk podcast which is found at http://epltalk.com featured an interview with Sun Sentinel Soccer writer Jeff Rusnak. Rusnak discusses what is at stake in the later part of the interview. Please write the Broward County Commission by going to the website http://www.broward.org/countygov.htm and then contacting the commission links via email and tell them to support the history and future of soccer in Broward County. You’ve presented a strong case for keeping the stadium. Lockhart is exactly the type of facility MLS insists it needs to survive – but the area is never mentioned in expansion plans.